Have you ever considered having someone else write content for your blog or website? The need for content writers is growing. The question remains, what should we be looking for when hiring someone else to write content for our blogs and websites? I was at the AT&T store, looking at the coveted iPhone6 and iPhone6+. I got to talking with our sale representative, when he asked what I do. “It’s hard to explain”, I say. My husband hears and says “I have the hardest time explaining what you do”, and he nudges in to hear me describe it. I decided to get the first part out of the way, “I blog about, well blogging”. The rep says, “No way”. “Yes, but that’s not all of it, I’m a content writer,” I tell him. He turned his head slightly to the left, takes his eye off the iPhone 6 in front of him just long enough to make eye contact with me. “So, you’re a ghost blogger?” the salesman questioned. “Yes, I am,” I answer. Here’s the thing. It’s not just a job, it’s a job that has demand. In a recent article published by Copyblogger, they report that the demand for content writers has grown by 320% in this last year alone. Before you hire a content writer, let’s make sure we all know what we should be looking for. Let’s answer questions like, “what makes a content writer worth their salt”? If you search for good qualities in a content writer on the Internet, you will find that most of the articles agree that great grammar skills are a must-have. We all make grammar mistakes and typos, which after editing and proofreading, can still find their way through. However, a professional should not allow these grammar mistakes and typos to happen very often. If the writer does not know the difference between “it’s and its” – do not hire them. This is a personal opinion of mine. If you are going to hire someone to write content for you – on your website, blog, or both – I believe you should like their writing. Their writing is going to be all over your website and will be a reflection of you. Let me clarify what I mean by “like their writing.” Every writer communicates a specific voice when they write. Make sure that is the voice you want on your website. I have heard some bloggers say that SEO is not important, but I completely disagree. Just because it is hard and ever changing does not take away from its importance. That’s an argument for another article. 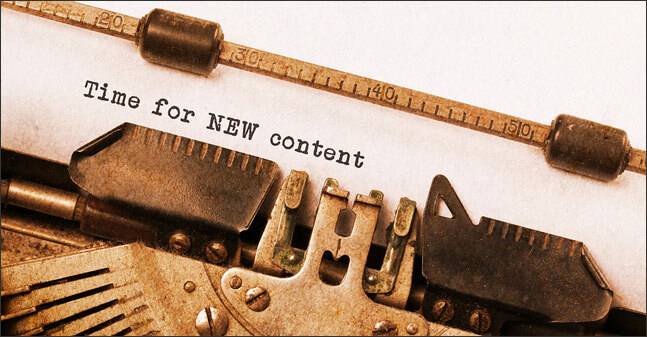 Your content writer should be able to stay on top of the latest developments in SEO. As a writer, content writing takes you out of your comfort zone. Suddenly, you may find yourself writing about topics you have never researched or maybe never even thought about before. That is why it is so critical that your content writer has to have a love for knowledge and learning. They need to have the desire and commitment it takes to learn about your niche. A content writer who has experience in writing for the Internet is also an important key. He or she will not only have the proven skills in search engine optimization, search engine and social media marketing, but will also be accustomed to defining goals and meeting deadlines. The need for content writers is growing and it is an exciting field to be in. Whether you are looking to hire a content writer or are looking to become one, using these five qualities as a benchmark will help. Not sure if your company needs a blog let alone a content writer? Check out 5 Reason Why Your Company Needs a Blog. What are your thoughts about a content writer? Would you consider having someone help with your blog articles? Please share your thoughts with me. From one fellow content writer to another… all good points! Not sure why people have a hard time believing that there are writers out there who actually write stuff, but I imagine it’s in the word “blogging” which still tends to make people think of basements, Doritos and creepy guys spying on you so they can report it later on their “blog”. I think your point #2 is super important. It always amazes me when writers approach me to be hired or to guest post and they show me samples of very, very terrible and boring work. Here’s another I would add: your content creator has to be able to write in a tone that works for YOU. Some people take a “one voice fits all” approach but depending on the industry, audience and topic you do have to sort of chameleon yourself into a role. Good advice for people looking to hire a writer! I completely agree with your addition. I write for such a wide variety of topics and I couldn’t imagine using the same tone for each. Honestly, it wouldn’t be appropriate.